I have learned how difficult it is being new to the world of user research, both through personal experience and listening to my student's many questions. There is a lot of information on Google, but not all of it is user-friendly. This is why I put together a few different resources that I, or others, have searched for, ranging from books to example deliverables. Let me know if there is something I have missed and I will work to incorporate it. I hope these serve as helpful references to all! I've put together a list of books that are highly regarded in both the UX research and UX Design space, also including strategy and presentation techniques. Download the list of books below, and definitely shoot me a line if I've missed any, OR to discuss! It can be hard navigating all the different examples of templates and ideas in UX research. 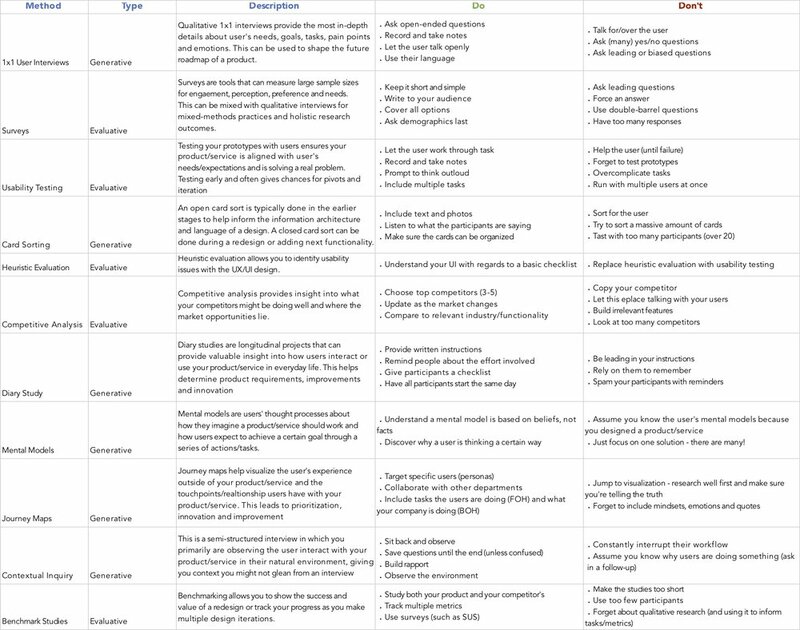 I put together a Dropbox folder full of different templates for you to use on your projects, which includes: a competitive audit, heuristic evaluation, research report, screener survey, SWOT analysis, research plan & methodology overview. I will continue to add to this list - please let me know if you want to see a particular template or example by emailing me: nikki@productherapy.com or tweeting: @productherapist. Want more helpful content? Sign up for my quarterly, easy opt-out, simply straightforward newsletter to get more trendy UX resources and information curated and sent right to you! This includes: blogs, podcasts, articles, books, interviews and more!